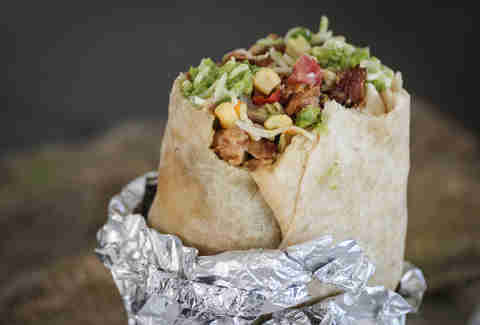 Impossibly, Chipotle has long been the restaurant that lets us feel healthy while eating burritos the size of a baby. We decided to further investigate the chain's roots to better understand its mystique, and turned up some facts you definitely didn't know. Read it all before debating whether you should order the Patron margarita. Chipotle founder and CEO Steve Ells wasn't just a businessman spitballing fast-casual restaurant concepts -- he went to the Culinary Institute of America before starting Chipotle, meaning he got the same schooling as Roy Choi, Duff Goldman, and that wiseass Anthony Bourdain. Ells got a lot of the initial decor from local hardware stores -- for example, the light fixtures were the product of metal junction boxes and porcelain lamp holders containing single halogen bulbs. So basically, you should be hoarding those Lowe's giftcards from grandma. Our main man Steve even testified before Congress in 2009 demanding legislation to spur more hormone- and antibiotic-free proteins. Take that, Mr. Smith. A lot of people mistakenly believe that Mickey D's runs Chipotle. Here's what actually happened: McDonald's invested in the chain back when it was only a big deal in Colorado and helped take it national. They even increased their stake to majority shareholder down the line, but completely divested by 2006. Possibly because Happy gave them some bad advice. In 1998, Chipotle ran an ad featuring a wadded-up ball of foil with the text "Free Cat Toy with Every Purchase". People actually came in asking about the cat toy, proving that cat ladies really need to eat more burritos. On top of earning two Daytime Emmy nominations and getting Chipotle into a lawsuit, "The Scarecrow" netted over 12mil YouTube views, placing it in the same category as such viral stars as "Take on Me: Literal Video" and "Scary Mary Poppins Recut Trailer". The elite restauranteur program recruits general managers who have a knack for grooming new talent and awards them: a) an initial bonus, b) stock options, c) $10,000 for each of their crew members who become GMs, and d) unlimited refills, we assume. 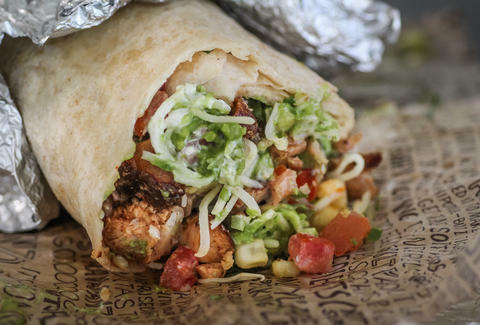 It's really just the Quesarito, but it'll change your life. 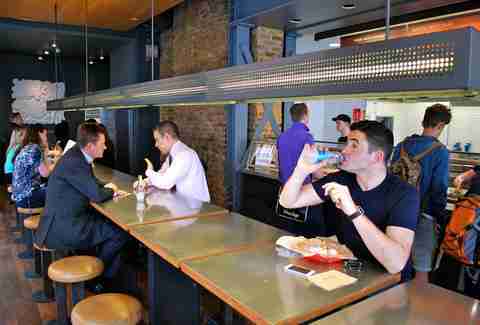 Chipotle's "music identity" is curated by a Brooklyn dude who pays mind to the brand's vibe and even the acoustics of the concrete floors. He once made the mistake of using Radiohead's Kid A as an example of a song that doesn't make sense at the chain, and hipsters flipped their trilbies thinking the band was universally banned. It wasn't, but OK Computer is better anyways. 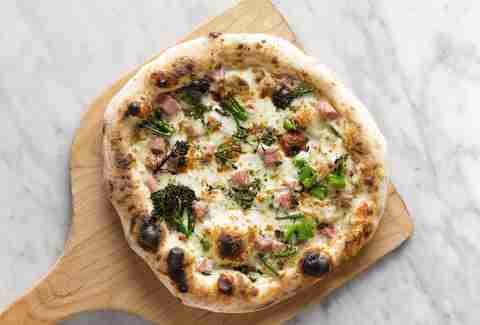 Looking to help out another Denver business, Chipotle invested in Pizzeria Locale. But the founders were determined to create their own reputation, and thus took extreme measures to keep the partnership under wraps at the onset. Just how extreme? When they didn't have a convincing fake backstory for why Chipotle's development director Carl Behler was hanging out, they christened him their "Uncle Carl from Florida" and even printed business cards for the dear uncle. ShopHouse Southeast Asian Kitchen has been around since 2011, but Chipotle didn't really start working it until the past year. 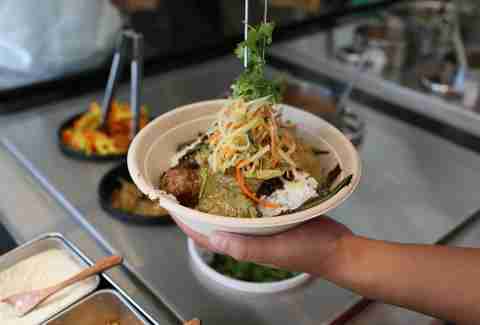 Originally launched in DC, ShopHouse has now set up in Bethesda, Maryland and California, as well. Seeing as it takes the same concept and applies it to Asian food -- with customers choosing bowls of rice or noodles, satay, curry sauces, chilies, and more -- it's destined to gain control of our stomachs next. The #2 eater in the world, Matt "Megatoad" Stonie, scarfed down four Chipotle burritos and a ton of Diet Coke in under three minutes inside one of the shop's hallowed halls. Watch and feel bad about your inability to finish a single burrito. They tapped Nate Appleman, the James Beard Award-winning cook of A16 and Pulino's fame, to work up some new moves. He runs a test kitchen outta one of the Manhattan spots now, and worked on those tofu burritos that are all the rage with your healthier friends. Chipotle makes custom cards for its celebrity fans, with two notable examples being Nationals outfielder Bryce Harper and this aging hippie Steven Tyler. Though some people (looking at you, Harper) have touted them as "for life" cards, they're really just for 365 days. But that's one burrito every day for one magical year, which is way more value than a lifetime of Kraft mac. Kristin Hunt is a food/drink staff writer and has brazenly been ordering guac on all Chipotle burritos for the past two years. Follow her at @kristin_hunt. This article originally published on June 2, 2014.